Photograph from ‘Bootham’ magazine, June 1915, photographer unknown. L. P. I’Anson, Lieutenant in the 4th Battalion, Yorkshire Regiment, was killed at St. Julien, near Ypres, on April 25th, 1915. He was born in 1878 in Saltburn, and attended Bootham between 1893 and 1895. He was a solicitor, and was engaged to be married when he died. He is included on the Ypres (Menin Gate) Memorial. From ‘Bootham’ magazine, June 1915. From ‘Bootham’ magazine, March 1915. The Annual Report of the Natural History, Literary and Polytechnic Society in the same issue noted that the Senior Essay Society and Senior Reading and Discussion Society had abandoned their meetings during the Autumn Term owing to the pressure of work caused by ambulance classes etc. See here for an earlier post about Arthur L. Lean. In January I did a talk as part of the Thursday lunchtime recital room series. It was entitled ‘Memories from the Archives’ and I talked about a number of memories from Old Scholars. I’ll share the photographs and text from the talk in several parts on the blog. Read Part 1 here and Part 2 here. Edward Allen wrote his early recollections down. Unfortunately there’s no date of writing, but it must have been after 1875 as he refers to a house move in that year. Before coming to Bootham he had spent several years in Folkestone, and compares his experiences. 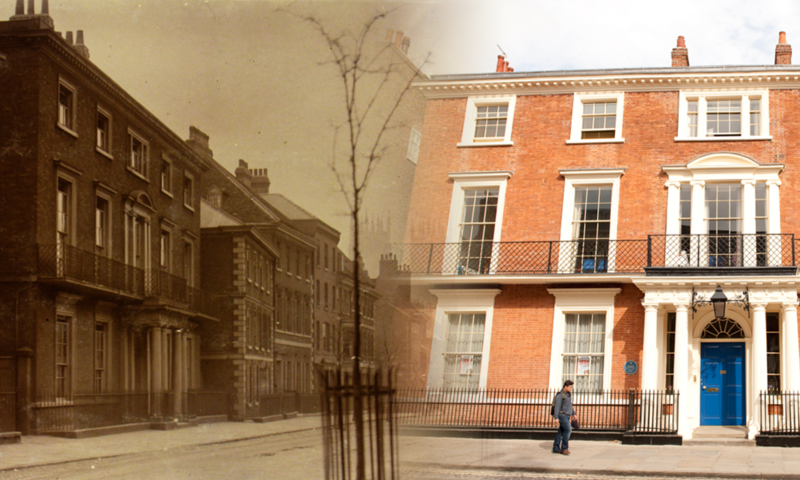 “I went to Bootham and my stay of 4 years there was fairly uneventful. I found the tone of the school very different from what I was used to, and on one occasion when I was tempted to act according to the lights of Folkestone, one of my schoolfellows said “Thou mustn’t do that, the other lads will look down on thee” so I learned to do better.” He also talks about his natural history activities: “I was keen on butterflies and shells and shared with Albert Alexander the winning collection of 1855, obtaining a watercolour paint box for my prize, which I still have.” The Natural History Society had been formed in 1834 and was an important part of school activities.